And now for something much lighter and completely different. If it isn't to your tastes, please skip to the note at the end of the post. There are all kinds of intriguing zoological references in this week's parashah. One is our old friend the hyrax (and there is a free chapter on the hyrax from my forthcoming encyclopedia available at this link). Another is the atalef, listed at the very end of the list of non-kosher birds. The general consensus of both Jewish tradition and modern academic scholarship is that the atalef is the bat. Some people get very worked up about the fact that the bat is a mammal rather than a bird, which they perceive as a conflict with the Torah's divine authority. Now, while various rabbinic authorities have pointed out that the Torah is not always scientifically accurate, this case does not fall into that category. There is no “right” or “wrong” method of classification. A system of classification has no independent reality. It is simply a means by which we measure and describes the animal kingdom, depending upon our purpose. For the purposes of science, the animal kingdom is evaluated on its own terms, based on anatomy. For the Torah’s system of classification, the animal kingdom is presented in terms the relationship between animals and human beings, and their perception by the common person. Neither system is more correct than the other; they are just serving different purposes. 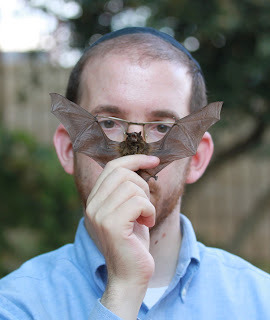 In the Torah, anything birdlike is classified as ohf - including bats. This is not a scientific error, just a different system of language. In contrast to the Talmud’s statement, modern zoology asserts that none of the 950 species of bats lay eggs, and further asserts that there was never an egg-laying bat. An egg-laying bat would be completely contradictory to the neat nested hierarchy of the animal kingdom - and amongst all the millions of known species, no such exceptions have ever been found. Could the Gemara be referring to something other than a bat? Rabbi Joshua Waxman has presented a fascinating argument that the Gemara is referring instead to a species of owl known as the stryx, which does lay eggs, and was believed to nurse its young on milk. But, as Rabbi Waxman notes, this would still not make the Gemara scientifically accurate, since owls do not nurse their young. Rabbi Meiselman discusses this Gemara. And he argues that it does not present any scientific problem at all. He claims that the atalef is... the platypus. No, I am not joking. Rabbi Meiselman claims that the atalef is the furry, mammalian, four-legged, web-footed, egg-laying, duck-billed platypus of Australia. He comments (p. 337) on the wonder of Chazal knowing about the duck-billed platypus: "In their day no one had ever seen one, nor could the Rishonim have imagined them; but Chazal knew that somewhere in the world they must exist." Rabbi Meiselman acknowledges that this goes against the identification of the atalef given by the Rishonim. But he dismisses the Rishonim as having an inadequate mesorah and mistakenly understanding matters in light of the flawed science of their era. It is not clear to me why he considers this perfectly acceptable to state with regard to the Rishonim, but heretical to state with regard to Chazal. Rabbi Meiselman further argues that Chazal not have mistakenly believed that bats lay eggs, if they observed them closely enough to know that they nurse their young. But even close observation of bats nursing would not lead to the conclusion that there are no eggs, just that one had not discovered them yet. Furthermore, in any case there is no need for close observation to conclude that bats nurse their young - one can just draw this conclusion from its generally mammalian physiology. Positing that Chazal believed in egg-laying bats (as many people still do) or lactating owls (as was common in antiquity) is infinitely more reasonable than proposing that they knew of the duck-billed platypus! How could they have known of the existence of the platypus? Rabbi Meiselman vaguely asserts that they knew it from "their understanding of the spiritual underpinnings of the world." He does not explain how understanding the spiritual underpinnings of the world leads one to conclude that there is a duck-billed platypus. Additionally, as discussed at length in my monograph on Sod Hashem Liyreyav, there is scant traditional support for such a notion. Furthermore, if their understanding of the "spiritual underpinnings of the world" was not sufficient to enable them to realize that the sun passes on the other side of the world at night rather than doubling back behind the sky, it is rather unreasonable to propose that it was sufficient to enable them to decipher the existence of the duck-billed platypus. But there is another powerful reason why Rabbi Meiselman's case is absurd. He is not arguing that the atalef of Scripture is a platypus, because that is listed amongst the category of ohf. So he argues that Chazal used the same name as the atalef of Scripture, which he agrees is probably a bat, yet here referred to a different animal. But consider how astonishingly misleading this is making Chazal out to be. Instead of giving the platypus any kind of unique name or description and informing us that it lives in Australia, they chose instead to use a name that the Torah uses to refer to a creature that also has mixed characteristics of mammals and birds, the bat, thereby misleading every student of the Gemara for the last 1500 years to mistakenly believe that they were talking about the same creature! So, Rabbi Meiselman prefers to posit that Chazal were able to figure out the existence of the duck-billed platypus, which they misleadingly referred to with the same name as the bat, rather than positing that just as Chazal subscribed to the ancient belief that the sun travels behind the sky at night, they likewise subscribed to the widespread belief that bats lay eggs. In perhaps the most remarkable twist of logic, Rabbi Meiselman concludes that “the very case that people cite as a challenge to Chazal is actually another demonstration that their knowledge was derived not from contemporary wisdom but from Torah itself.” But Rabbi Meiselman has not in any way proved that they actually derived this view from Torah. Furthermore, the issue is whether their knowledge is divinely correct, not where they derived it from. Chazal derived aspects of their understanding of the heavens being solid from Scripture, but this does not mean that it was correct! Personally, I think that Rav Hirsch's approach, which is very well-founded in Chazal, the Geonim, the Rishonim, and the Acharonim, is the only reasonable explanation. According to this approach, there is no "problem" here, per se. "Chazal were the sages of God's law - the receivers, transmitters and teachers of His toros, His mitzvos, and His interpersonal laws. They did not especially master the natural sciences, geometry, astronomy, or medicine... we do not find that this knowledge was transmitted to them from Sinai." Thus, Chazal were simply relating an ancient and erroneous belief that bats lay eggs (or that owls nurse their young). Presenting this approach to the Gemara does not diminish the honor of Chazal. And nor, unlike the platypus claim, does it diminish the honor of the one presenting it. Please note that researching, writing and running this blog is very time-consuming, and unlike writers for print publications, I don't receive a salary. If you feel that you benefit from this blog, please make a donation using a credit card or Paypal via the link below. Thank you for your support of my work! Kol hakavod! I would just point out, though, that to identify the atalef as two different animals is not per se absurd. In Lev. 11:30, the tinshemet is listed among the birds, but appears again in Lev. 11:30 among the reptiles. What is unconvincing is to claim that Chazal's atalef was a creature found only in Australia, or (as has been suggested) that both instances of "tinshemet" refer to the archaeopteryx, which was extinct a rather long time before the Torah was given and would not likely have tempted the Dor Ha-Midbar. Sabi, certainly different animals can have the same name, as per the atalef, and Chazal can certainly use a name differently from Tenach, as with the re'em. However, in this case, when Chazal are talking about a creature that is unknown to any of their students, it is absurd to posit that they would use the exact name of a known creature that people would clearly think that they were referring to. And now for something much lighter and completely different. Actually, it isn't completely different. In a community where a book like Torah, Chazal and Science is championed for its brilliance and professional expertise, despite it being full of dishonest rabbinic scholarship, scientific ignorance, and batty claims, it is no surprise that specious arguments about yeshivah students being exempt from military service are presented with the insistence that nobody may challenge them. "An egg-laying bat would be completely contradictory to the neat nested hierarchy of the animal kingdom." -- Hey, I remember that exact line from your excellent book Sacred Monsters. Heh, you're entitled to recycle. When Carl Woese, the noted microbiologist, writes that: "phylogenetic incongruities can be seen everywhere in the universal tree, from its root to the major branchings within and among the various taxa to the makeup of the primary groupings themselves", it causes me to hesitate accepting the term "neat." >> A system of classification has no independent reality. This statement needs qualifying. People argue about systems of classification but the prevailing view amongst biologists as I understand it is that classification is cladist, like branches on a tree and reflects evolutionary relationships. As such it does have an independent reality. "Actually, it isn't completely different." Actually, it is completely different! This is just the type of post I have been missing over the past several weeks. For my part at the very least this is the type of post that got me interested in this blog to begin with. Systems of classification are conventions that are made up for convenience. While the biologists system of Phylum, Class, Order, etc. makes lots of sense for classifying animals it doesn't help much for hilchos tuma and tahara and issur and heter. It doesn't differentiate, for example between what the Torah refers to as Chaya - cheilev is muttar and Beheima - cheilev is assur. It doesn't differentiate between flying creatures that we are permitted to eat and flying creatures that we are not permitted to eat. That's why Chazal categorized differently based upon common denominators for those animals that are muttar and those that are assur. Chazal's system of categorizing works better for its purpose that science's. Your last paragraph asking for financial assistance brought a smile to my face. Some people ask for financial assistance for writing a blog that is Mevaze Talmidei Chachamim, others ask for financial assistance for delving into the Ketzos. I leave it to your readers discretion as to where they feel their money is better invested. On a similar tone some people go against the norms of traditional jewry and sit and learn Torah the whole day while others go against the norms of traditional Jewry and publicly name & shame the Ziknei Hador to the whole world. From an old chaver who sat 3 rows behind you in Midrash and now a proud Ben Torah. . I'm not asking for "financial assistance," I am asking for hakaras hatov for a service rendered. Obviously, if you feel that exploring rationalist Judaism and its perspectives on contemporary society are nothing more than "mevazeh talmidei chachamim," then you won't be feeling any hakaras hatov - but if so, why are you here? From an old chaver who sat 3 rows behind you in Midrash and now a proud Ben Torah. By the way, calling yourself "proud" and saying that your yeshivah is "uber alles" reflects an unfortunate ga'avah. This is a terrific post. I read R' Meiselman's book -- all 800 pages of it -- and found it to be intellectually dishonest from beginning to end. I agree that Torah-true Jews can totally rely on Rav Hirsch, and that is what I learned from my father z'l. "Crop milk is a secretion from the lining of the crop of parent birds that is regurgitated to young birds. They are found among all pigeons and doves where they are referred to as pigeon milk. Crop milk is also produced by flamingos and some penguins." After reading the previous comment I immediately sent a donation. I realized how indebted I am to you for not having that kid of backwards thinking any more. I would add that Chazal's statement about bats, while embedding a common misconception, was actually correct in some sense. Bats really are flying animals that nurse their young (since they are actually flying mammals). In that they are exceptional, although they don't lay eggs. By reinterpretation to some statement about a Platypus, you are not increasing the honor of Chazal, but actually interpreting away a correct observation. So I guess that's why we can't get a hechsher on platypus down here! The Shabbat section of the Makor Rishon newspaper (highly recommended for people who follow this blog...it is one of the premier journals in Hebrew for discussing the same kind of issues that are explored here) had an interview with a leading "modern Haredi" who came form a hard-line Haredi family but he decided to get law degrees and to go clean-shaven. However, he still considers himself Haredi and tries to explain how these modern Haredim are trying to maneuver and still be part of the Haredi world, even though they may not be true "Torah Jews" as they see it. It is clear they do not have a clear ideological base and are riven with contradictions in their attempt to remain true Haredim, even though they work and they may want to participate in "Israel culture". Guilt feelings about not studying full-time may lead to increasingly extreme views regarding ideological issues such as the ones raised here. In the last election, UTJ politicians managed to convince these people to vote UTJ and not for the "Tov" party, but the fissures remain, it will be difficult for the Haredi leadership to sanction what the New Haredim do for fear of losing those who make major sacrifices to keep studying full time. Thus, although many believe this "New Haredim" phenomenon indicates a moderation among many Haredim, I can see how it does not really signal this. Sicherman himself says he doesn't view it as such, but rather it is simply focussing on "parnasa" but not on other factors of Haredi identity. Unlike your lifestyle, which the Rambam decries in forceful terms, there is nothing demeaning about being paid to write, inform and entertain. "(Furthermore, if Chazal knew of the exceptions to the rule that egg-laying animals don't lactate, why didn't they mention the echidna, pictured at right?)" Surely you have put the strongest evidence to your hypothesis as an aside to your post. The quote from the gemorah states that the *only* exception to the rule is the atlef. Whether we accept R' Meiselman's claim that they were referring to the platypus, assume you are correct that they were referring to the bat, or even believe that there was some other now extinct or unknown creature (batlike or otherwise) that they were referring to, we can clearly see that Chazal were *not* aware of all the necessary science to back up their claim, as in fact the claim is untrue! There are actually at least two exceptions to the rule that we know of while Chazal stated that there is only one exception! Thank you, Rabbi Slifkin, for another fascinating column. However, I must point out something that seems to have escaped notice by many. You, and many others, equate "atalef" to bats. yet, if you look in Rashi, this becomes problematic because Rashi equates "tinshemes" that is mentioned by the flying animals with bats! Look in rashi and how he translates it in (old) french: he writes it is "chauve souris" which is the Frecnh word for a bat.He further explains that it looks "like a mouse that flies at night"! Exactly what it is! The 'tinshemes' that is mentioned by the "sherotzim', (little animals), he equates to the mole ( 'taupe" in French). Rashi does not say what the Possuk means with "atalef'. So,although Rashi clearly includes bats in this classification, it is under "tinshemes",not "atalef"
Hysterical. I guess some people just cannot see themselves. What does donations have to do with hakaras hatov? Yes, you are asking for financial assistance. And yes, one should think well and long as to which would be the better cause - the people who are indeed providing a service to klal yisrael, or an ignorant chutzpinyak who thinks he knows better than anyone who has tried to put him in his place (or simply ignored him). Actually one could say Rav Slifkin is acting as a teacher which would put him in a different category than people in kollel.and would justify him asking for money for that. But Rav Slifkin is also ASKING!! people for money not DEMANDING!! it. People can choose if they want to support something that might go extinct in the jewish world without this support. "What does donations have to do with hakaras hatov? Yes, you are asking for financial assistance." Shafran and Kobre get paid to write, by people who appreciate their work. Why shouldn't R. Slifkin? "one should think well and long as to which would be the better cause - the people who are indeed providing a service to klal yisrael"
It's evident how this blog provides a service, since it teaches concepts and ideas to other people. But how are people in kollel providing a service to klal "yisrael"? This “insistence”, which you attribute to Rabbi Meiselman, is actually based on rock-solid proof from the Rashba and many other traditional Jewish sources which you consistently ignore. For any student of halacha, these sources easily trump the sources you invoke to support your view. "Before the book was published, I predicted that Rabbi Meiselman would fail to address this Gemara. I was wrong - he addresses it at length (chapter 24). The reason why I did not think that he would discuss it is that I couldn't conceive of any way in which he could reasonably claim that the Gemara is scientifically correct. (See if you can spot the false assumption that I made.)" is actually based on rock-solid proof from the Rashba and many other traditional Jewish sources which you consistently ignore. Rashba does not say that it is wrong to ever attribute scientific error to Chazal, as I shall discuss in a future post. Furthermore, even if Rashba and a dozen other authorities were to say that it is wrong to ever attribute scientific error to Chazal, this would not negate the dozens of other authorities who do attribute scientific error to Chazal. No, the false assumption that I made was that Rabbi Meiselman would limit himself to reasonable explanations. I had thought of the platypus approach, but never dreamed that he would actually use it! It is because the Rishonim themselves, and the Acharonim, considered this to be the case. "How could they have known of the existence of the platypus? Rabbi Meiselman vaguely asserts that they knew it from "their understanding of the spiritual underpinnings of the world." His point is not that they specifically knew of the platypus. It is that the spiritual underpinnings of the world lead to the understanding that some creature included in the category of ataleif has these unique characeristics. After demonstrating that in the Torah one name may refer to entirely different species in different places, he explains at length why the bat and the platypus might be included in one category, thus sharing a name. Well, of course not. Does anyone in this generation claim sufficient mastery of Torah to understand the spiritual underpinnings of the world? The question here is whether such an understanding may be attained by people whose mastery of Torah was much greater and deeper than our own. The Ramban and other Rishonim clearly state that it may, as Rabbi Meiselman demonstrates at length in an earlier chapter of the book. It is that the spiritual underpinnings of the world lead to the understanding that some creature included in the category of ataleif has these unique characeristics. But he presents no explanation as to why there should be a creature in a addition to the bat that has these characteristics. he explains at length why the bat and the platypus might be included in one category, thus sharing a name. But he does not explain why Chazal would describe an animal that is NOT the bat with the same name as the bat and give no information to indicate that they were talking about a different animal. The question here is whether such an understanding may be attained by people whose mastery of Torah was much greater and deeper than our own. No, the question is whether there is any reason to suppose that Chazal were talking about a platypus rather than a bat. The Gemara is not intended to be a book on zoology. It is Torah shebaal peh. One who has thoroughly mastered Torah in all of its breadth and depth will presumably understand why Chazal considered this piece of information significant in Torah. The actual identity of the creature being discussed is secondary. One who has thoroughly mastered Torah in all of its breadth and depth will presumably understand why Chazal considered this piece of information significant in Torah. The actual identity of the creature being discussed is secondary. What you wrote does not remotely address my objection regarding Chazal having mislead all of their readers for the last 1500 years by using exactly the name that would be misinterpreted as referring to the bat. The brief disclaimer at the end does not negate the fact that he is clearly strongly of the belief that the thesis he develops over the entire chapter is indeed correct. 1) The Torah lists a creature, the atalef, which is the bat, in the category of Ohf. 2) The bat is an Ohf, but it has characteristics of mammals. 3) There must be other creatures that are in the same category. must be different from those of the bat. Items 3) and 4) are entirely unsupported assertions. Furthermore, his whole claim is that there must be other animals that fall in the same class as bats. But the bat is an ohf with mammalian characteristics, whereas the platypus is a chayah/sheretz with avian characteristics. And why were Chazal insistent that there must be a chayah that lays eggs? By this logic, there must also be a fish with feathers and an amphibian with a beak! R. Meiselman also has to explain away or insist to be forgeries the Rambam, Rav Avraham Ben HaRambam, Rav Sherira Gaon, Rav Shlomo Zalman, Rav Herzog, and then ignore Rav Hirsch. In fact, in two places, he is forced to explain away the words of his own Rebbi, the Rav. He is also relying, in part, on a Rashba on Treifos which Rav Moshe insisted that the Rashba would have retracted and in fact has retracted in Olam HaEmes. Even R. Feldman, who now opposes R. Slifkin, has said that there exists a Shita in the Rishonim that the sage could err in science. He also admits that the "definitive statement" is ill-defined and only an expert can tell which statements are definitive and which are not. R. Meiselman's thesis is less than "rock-solid". Stay tuned, as I'm sure that these arguments will be further addressed here. This “insistence”, which you attribute to Rabbi Meiselman, is actually based on rock-solid proof from the Rashba and many other traditional Jewish sources which you consistently ignore. " " בעא מיניה פלימו מרבי מי שיש לו שני ראשים באיזה מהן מניח תפילין א"ל או קום גלי או קבל עלך שמתא אדהכי אתא ההוא גברא א"ל איתיליד לי ינוקא דאית ליה תרי רישי כמה בעינן למיתב לכהן"
And see תוספות there. Here we have what is an essentially a definitive statement about the natural world that is 100% wrong as testified by the Gemara itself. A statement by one of the antagonists to Rabbi Slifkin truly struck me as extraordinary. "naar ivir" writes :"The gemoro is not intended to be a book on zoology. it is Torah shebaal peh". So, the gemoro is not intended to be a book in zoology. Presumably, then, it is not intended to be a book on astronomy, or a book on human functions, or a book on natural phenomena...etc. Why, then, do we accept anything in the gemoro to be factual? Why should we tak ANYTHING in the gemoro at face value? Taking this approach, we can say that any chazal is allegorical-clearly a position the writer would bristle at accepting. It is an absurd opinion to espouse, as the writer would have us choose and twist what chazal meant and, of course, leave only in the hands of those he agrees with to be the genuine explanation. As an aside to an earlier commment, Rashi in bechoros does call "atalef", the "chauve souris" (bat) that he calls "tinshemes"' in Shemini. ould like to hear from all fundamentalists how they explain this clear contradiction in Rashi's. "R. Hanan b. Raba said: The shesu'ah11 is a specific creature that has two backs and two spinal columns. Was Moses a hunter or an archer? This refutes those who maintain that the Torah was not divinely revealed." "What you wrote does not remotely address my objection regarding Chazal having mislead all of their readers for the last 1500 years by using exactly the name that would be misinterpreted as referring to the bat." I find it amusing that when you are losing an argument over one point, you refuse to concede the loss and instead raise a different point and complain that it wasn't addressed. But I do appreciate updating the post to reflect some of naar ivri's important corrections and caveats. However, I still find it problematic that you completely omitted the grounds on which Rav Meiselman identified the platypus with the atalef. It isn't just an arbitrary mammal/bird combination which you paint as absurdly unreasonable. There are deep similarities between the bat and the platypus which reasonably justify the common name. "R. Meiselman also has to explain away or insist to be forgeries the Rambam, Rav Avraham Ben HaRambam, Rav Sherira Gaon, Rav Shlomo Zalman, Rav Herzog, and then ignore Rav Hirsch. In fact, in two places, he is forced to explain away the words of his own Rebbi, the Rav." The Rambam, as far as I know, has not weighed in clearly one way or the other on the specific question of whether one is permitted to conclude that Chazal erred in a matter of science. Regarding Rabbeinu Avraham ben HaRambam, Rabbi Meiselman doen not simply "insist" it is a forgery. He presents ample evidence. Although the responsa attributed to Rav Sherira Gaon (the attribution is not entirely clear, as R. Tuvia Katzman of Machon HaTalmud points out) regarding Chazal's medical advice does, at first glance, seem to contradict the Rashba's approach, it may be squared with the Rasba's approach, and there is solid basis internal to the sugya to do so (i.e. the Rashba himself seems to distinguish between Chazal's medical advice and all other statements about the world.) Rav Shlomo Zalman simply relates to the existence of Rav Sherira Gaon's responsa. He does not present it as normative even within the realm of medicine, and does not discuss its relevance to non-medical statements of Chazal. So essentially, Rav Shlomo Zalman is not an indepedent source on this question at all. Regarding Rav Soloveitchik, I do not know what you are referring to. (If you mean the question of evolution, it is not relevant to this discussion). A clear statement from the Rashba against the far-from-clear statement of (maybe) Rav Sherira Gaon, is no contest in the halachic realm, especially when that position of the Rashba is supported by the Rama, Maharal and many other early Acharonim. Rabbi J. David Bleich, known for his encyclopedic knowledge of halachic sources, has written that one would be hard pressed to find any classic source besides the Pachad Yitzchak who holds that Chazal's statements about the world may be considered mistaken. Rav Hirsch and Rav Herzog, chashuv as they were, do not impact on this equation. "He is also relying, in part, on a Rashba on Treifos which Rav Moshe insisted that the Rashba would have retracted and in fact has retracted in Olam HaEmes." Rav Moshe does not suggest that the Rashba would have retracted his basic assumption that Chazal were correct. Only his specific resolution of the counter-evidence. "Here we have what is an essentially a definitive statement about the natural world that is 100% wrong as testified by the Gemara itself." I did not look up this Gemara, but if it does indeed testify that the statement is wrong then the Gemara is not presenting the statement as definitive. Part of the definition of "definitive" in this context is "conclusive", i.e. it is the conclusion of the Gemara. So, the gemoro is not intended to be a book in zoology. Presumably, then, it is not intended to be a book on astronomy, or a book on human functions, or a book on natural phenomena...etc. Why, then, do we accept anything in the gemoro to be factual? Why should we tak ANYTHING in the gemoro at face value?" First of all, if this statement strikes you as extraordinary, then you have probably never read Rabbi Meiselman's book. No one has claimed that the purpose of Gemara is to serve as a science book, (or even that a great deal of scientific knowledge is contained in the Gemara.) On the other hand, when the Gemara does make statements about the world, they may NOT be treated as incorrect or irrelevant, because they are part of Torah Shebaal Peh. When the Gemara makes a statement about the characteristics of the ataleif,it may reasonably be assumed that the Gemara's purpose is not to inform us of some random zoological factoid. It is very possible that it telling us that in the metaphysical scheme of things, a creature in the category of ataleif must have these characteristics. The specific identity of the creature, in this context, is secondary, and might therefore not be elaborated upon. (The Gemara's language is often extremely terse. )If the statement was one of practical halachic relevance, then its actual identity would be of primary importance, and would presumably be identified clearly. 3) "The atalef of the gemara is the platypus, and not the same as the atalef of the chumash" is not a remotely reasonable explanation, as the gemara gives no indication that it is talking about a "different atalef", which it would be expected (and required) to were that actually the case. I don't know what you are talking about. Naar Ivri wrote "One who has thoroughly mastered Torah in all of its breadth and depth will presumably understand why Chazal considered this piece of information significant in Torah. The actual identity of the creature being discussed is secondary." How on earth is that relevant to what I wrote? And why would I even have a problem with it? It's not a matter of whether a common name can be justified (cf. tinshames). The point is that if they want to communicate that they were talking about an animal that was NOT the atalef of the Torah, and that nobody had seen or knew about, then it wouldn't make sense to call it "atalef" without any further qualification. Not sure why you fail to get this point. The Rambam, as far as I know, has not weighed in clearly one way or the other on the specific question of whether one is permitted to conclude that Chazal erred in a matter of science. Regarding Rabbeinu Avraham ben HaRambam, Rabbi Meiselman doen not simply "insist" it is a forgery. He presents ample evidence. Also known for claiming that spontaneous generation has not been scientifically disproven! has written that one would be hard pressed to find any classic source besides the Pachad Yitzchak who holds that Chazal's statements about the world may be considered mistaken. No, he was only referring to halachic rulings based on science. And he forgot Dor Revii. Rav Hirsch and Rav Herzog, chashuv as they were, do not impact on this equation. "Naar ivri": sorry, but you cannot have it both ways. If every maamar chazal has to be contemplated in metaphysical terms, then every aggadata, every saying by chazal does not mean what it says. I can interpret every maamar chazal in very different ways than you do and who would say that my interpretation is wrong? It would be absolutely absurd to deny what chazal actually say. It is one thing to say that aggadata is not binding but at least I recognize that this is actually a maamar chazal. Your approach makes a mockery of chazal as it allows anyone to say that black is white and white is black. No, I have not read Rabbi Meiselman's book but it does not take a genius to see the fallacy of his arguments in this case. When the Gemara makes a statement about the characteristics of the ataleif,it may reasonably be assumed that the Gemara's purpose is not to inform us of some random zoological factoid. It is very possible that it telling us that in the metaphysical scheme of things, a creature in the category of ataleif must have these characteristics. The specific identity of the creature, in this context, is secondary, and might therefore not be elaborated upon. But the bat is in the category of atalef and does NOT have these characteristics. So even with your imaginary metaphysical approach (completely contrived and not even hinted at by any Rishon), the Gemara would be telling us that there is something that has DIFFERENT characteristics than the atalef of the Torah. In which case, it would have to call it anything in the world aside from atalef! "I did not look up this Gemara, but if it does indeed testify that the statement is wrong then the Gemara is not presenting the statement as definitive. Part of the definition of "definitive" in this context is "conclusive", i.e. it is the conclusion of the Gemara." OK. You can come up with a "chiluk". But a "chiluk" has to be substantial in order for it to be relevant. Now let's see. Rebbi says that a two-headed person can't possibly exist, and to make his point clear he expels the questioner from the בית מדרש. Now, are we to believe that Rebbi's statement was tentative? That he would put someone in cherem based on a conclusion that was not definitive? Of course his statement was definitive! "Part of the definition of "definitive" in this context is "conclusive", i.e. it is the conclusion of the Gemara." natural world that were incorrect. However, when those statements are recorded by the Gemara as a conclusion, they acquire the status of infallibility? Wouldn't that imply that the post-Chazal generations and/or the Savora'im had greater רוח הקודש than Chazal themselves? I think what he is trying to say is that Chazal are preserved from the possibility of error when, in the exercise of their position as teacher of all Jews, in virtue of their supreme authority, they define a statement concerning halacha or nature to be held by all Jews. "How on earth is that relevant to what I wrote? And why would I even have a problem with it?" Because much of your critique is assuming Chazal were actually trying to refer to a specific creature and were therefore misleading people by using the specific name of a different animal. But once you acknowledge naar ivri's point, this major component of the critique dissolves. "The point is that if they want to communicate that they were talking about an animal that was NOT the atalef of the Torah, and that nobody had seen or knew about, then it wouldn't make sense to call it "atalef" without any further qualification." Again, you seem to be oblivious to naar ivri's response. Chazal were not trying to describe any particular animal. They were using the term atalef in its generic, abstract sense which we see now happens to overlap with the relevant characteristics of the platypus. Again, Rav Meiselman explicitly did not use this novel solution as any kind of "proof" that Chazal "knew" about the platypus 1500 years ago. But the term atalef happens to be the best way to describe it using Chazal's method of animal classification. And by the way, Akiva and David Ohsie: naar ivri left out the fact that the Rashba is supported by Rav Hai Gaon (which, from a scholarly point-of-view is more definitive than Rav Sheririah Gaon's non-conclusive statement), the Rivash and the Tashbetz about Chazal's correct knowledge of science. If you can't see why Rav Hirsch and Rav Herzog's opinion are not relevant in the face of this list of Geonim and Rishonim, I'm afraid there is no appreciation of vastly different levels of authority in Jewish scholarship on the other side of this discussion. Ephraim hits the nail on the head with regard it comes to R. Meiselman's theory. Chazal cannot make definitive statements because Chazal is not a person. Individual members of Chazal made definitive statements and they were often "wrong" (by R. Meiselman's definition of wrong), not the least of which because there were at odds with the words of other members of Chazal. Chazal were not trying to describe any particular animal. They were using the term atalef in its generic, abstract sense which we see now happens to overlap with the relevant characteristics of the platypus. Truly astonishing. So now, Chazal were using the name of a creature not to refer to a creature (as is the case every other time a creature is named), but instead to refer to a "generic, abstract sense"! And this "generic, abstract sense" happens to be one which is NOT true for the atalef of the Torah. And yet even so, Chazal used precisely that term, thereby leading everyone for the last 1500 years (except for The Great Rabbi Meiselman) to think that they were talking about the same creature. Y'know, according to me, Chazal's only deficiency was in not knowing zoology (which is no deficiency at all). You (and R. Meiselman), on the other hand, are positing that Chazal couldn't even talk straight and managed to be magnificently ineffectual at getting a simply point across. the term atalef happens to be the best way to describe it using Chazal's method of animal classification. No, it happens to be the WORST way to describe it. Because it led everyone to believe that they were talking about the atalef. But it's only Rabbi Meiselman's opinion that the situation with the Geonim and Rishonim is what you claim. If you can't see why Rabbi Meiselman's opinion is not relevant in the face of the list of Geonim and Rishonim and Acharonim, I'm afraid there is no appreciation of vastly different levels of authority in Jewish scholarship on the other side of this discussion. Not only would knowledge about zoology have been just as prone to being lost - there is vastly less reason, vis-a-vis astronomy, to think that they ever had it in the first place. Astronomy was a traditional Jewish area of expertise, relating to the calendar. Zoology was not. Apologies, but this is ludicrous. For one thing, every Rishon understood Chazal to be referring to the Atalef of the Torah. Was their mesorah incorrect? What happened to the general principle that when all of the Rishonim agree on something, Acharonim can't overturn it? For another, even if your answer is "yes, all of the Rishonim were wrong, and R' Meiselman is the first in 1,500 years to correctly understand this gemara," you are making R' Slifkin's point. It is one thing to couch a difficult to accept concept in hidden language in order to ensure that only those wise enough to understand it can see the true meaning (as the Rambam explains in Chelek). But you are positing something else entirely: That Chazal deliberately chose misleading language to describe not the "Atalef" of the Torah, but some other creature, for no reason at all. As for "the best way to describe it", it would be a simple matter to say "but this Atalef is not the Atalef of the Torah" or "but this Atalef is not an Of". To argue that Chazal were describing a "different Atalef" - based purely on the conclusion that no winged creature fits the criteria - is both obviously circular and inherently rejects the very approach of R' Meiselman on other issues. After all, why not simply say that such a creature existed, but is now extinct? Or that it existed, but its nature changed? Or that it exists on the metaphysical level? Or that it still exists today, but hasn't been found? More, once used, the same "method" of "resolving" difficulties is open for use in any other area of learning. See an apparent contradiction in two gemaras? You can't learn out a diyuk - because the diyuk only applies if Chazal were speaking about the same thing in both mkoros. Given R' Meiselman's logic here, isn't the simpler answer to simply say that though Chazal were using the same word, they were using it to mean different things in the two different places? 1) This is not halacha, so rules of P'sak (Rov Minyan U'Binyan) are not applicable. 2) You are here contradicting R. Meiselman's thesis. He claims that no authorities disagree with him. That is why he classifies Rav Avraham Ben HaRambam and Rav Sherira Gaon as forgeries, then claims Rav Herzog was based completely the on "forgery" of R. Avraham (had he known, he would not have said it) and that Rav Sholomo Zalman wasn't serious when he wrote that it wasn't clear that anyone could argue on Rav Avraham (he also doesn't accurately translate Rav Shlomo Zalman). Rav Meiselman never claims to know better than Rav Herzog and Rav Shlomo Zalman. Actually, the Rambam doesn't limit his observation to astronomy, but all speculative sciences or mathematical sciences depending on which section of the Moreh you are referring to. Why would the Torah include a platypus in a list of flying creatures? He's not claiming that. Read the post carefully, please. You wrote that Rabbi Meiselman suggests that the atalef is a platypus. The atalef is the last in the list of unclean fowl. I would be most obliged if you would kindly explain where I have misunderstood. "He is not arguing that the atalef of Scripture is a platypus, because that is listed amongst the category of ohf. So he argues that Chazal used the same name as the atalef of Scripture, which he agrees is probably a bat, yet here referred to a different animal." Thank you so much Rabbi Slifkin. My misunderstanding was caused by my thinking that it was more reasonable to have thought that Rabbi Meiselman was able to conceive of a platypus being eligible to be included in a list of birds,than to think that the gemoro in bechoros would use the name atalef for a creature other than a bat. I can see why you would have thought that! "Truly astonishing. So now, Chazal were using the name of a creature not to refer to a creature (as is the case every other time a creature is named), but instead to refer to a "generic, abstract sense"!" You don't seem to understand. It's not because Chazal chose to be obscure and decided to use a specific name in order to refer to a generic creature. It's because they didn't know the precise identity of the platypus, they had no choice but to use atalef in the generic sense. "And this "generic, abstract sense" happens to be one which is NOT true for the atalef of the Torah." Of course being a generic term as well as a specific one, atalef also accurately describes the bat, otherwise it wouldn't be used for both animals. And Rashi dos NOT define the atalef in the Torah as specifically the bat. Rashi says the bat in the Torah is the tinshemes. So the atalef is somewhat obscure even in the Torah. "And yet even so, Chazal used precisely that term, thereby leading everyone for the last 1500 years (except for The Great Rabbi Meiselman) to think that they were talking about the same creature." As I said, according to this approach, Chazal had no choice but to use this misleading term because they did not know the precise identity of the creature they were describing. And somehow you manage to praise Rabbi Josh Waxman for his idea of the strix as the atalef even though that suggestion also results in Chazal misleading everyone for the last 1500 years (until the Great Rabbi Waxman discovered their true meaning). Seems that as long as the suggestion maintains Chazal made a scientific error, it gets a free pass from you, but when a parallel suggestion says Chazal were not mistaken, it gets mocked and ridiculed. Of course they had a choice. They could have said that they were talking about a different type of atalef. If you're defining the generic meaning as "creature with some characteristics of ohf and non-ohf", then what makes their statement not refer to the bat? Yet according to you, they knew that they were not talking about the atalef of the Torah, i.e. the meaning that everyone else attached to the word atalef before and after them. If so, then they could, and should, have said so. Do you really not see the difference? According to Rabbi Waxman's proposal, Chazal understood that the strix was ALWAYS the EXCLUSIVE meaning of atalef. Whereas according to R. Meiselman/ you, Chazal knew that everyone before them and after them understood atalef to refer to the bat, but they used the term to refer to a different creature! Q: when is a bat not a bat ? A: when it's a platypus. "According to Rabbi Waxman's proposal, Chazal understood that the strix was ALWAYS the EXCLUSIVE meaning of atalef." There is nothing in Rabbi Waxman's proposal which indicates Chazal also understood the atalef of the Torah as the strix. "Whereas according to R. Meiselman/ you, Chazal knew that everyone before them and after them understood atalef to refer to the bat, but they used the term to refer to a different creature!" I already mentioned that the atalef of the Torah is obscure. You even contemplate that it could mean the strix and not the bat! Remember, Rashi does NOT identify it as the bat. So much for "everyone before them understood the atalef to refer to the bat". If Chazal understood that bats don't lay eggs, they naturally assumed that others knew it too, and immediately would realize that their use of atalef COULD NOT mean a bat! Choice 1: "There is an animal, unknown to us, that is an egg-laying mammal". Choice 2: "There is an animal, Platypus is its name, that is an egg-laying mammal". Choice 3: "There is an animal called foobar that is an egg-laying mammal". Choice 4: "There is an animal called foobar that is an egg-laying mammal. It is found in islands of the sea". Your issue with Chazal misleading everyone assumes that people understood Atalef as a species, not a class. If names it would be understood as a class-name (which of course represents all its members correctly, by definition), then there was never any misleading going on. Obviously, there are lots of places where a descriptor will refer specifically to a species. When the statement is referring to a specific halacha which requires us to know the exact animal in question, that would necessarily be the case. For non-halachik matters…I don't see why, logically, it must be true. Do we have a reason to assume the descriptor is a species, not class? But that is what he meant, and when I endorsed this approach, that is what I meant. I already mentioned that the atalef of the Torah is obscure. It is "obscure" only in that Rashi disputes everyone else. This does not help your case at all. Look, according to you, Chazal are on an entirely different plane of knowledge to the rest of mankind, such that they would never accept a scientific belief of their era unless they somehow knew that there was no possibility of it being wrong. And according to you, Chazal had a grasp of the underlying metaphysics of the world such that they knew that there must be an egg-laying mammal. And yet, despite all this superhuman knowledge, they didn't realize that everyone learning the Gemara after them, with the exception of R. Meiselman, would think that they are referring to the atalef of the Torah! Yes there is, because the only known member of that class (at that time) does not fit the description that Chazal give to it. Further: If the term "atalef" is just a loose class that can include creatures as diverse as bats, platypuses and echidnas, and Chazal didn't know how many such diverse types there could be, then the whole Gemara becomes ridiculous: "Everything that bears live young, nurses them, and everything that lays eggs, gathers food for its young, except for all the creatures that this does not apply to." Furthermore, people often are bothered that the atalef is mentioned in the list of non-kosher birds in the Torah, yet it is not a bird. I don't regard this as a problem in the first place. עוף simply means "flying creature", and the Torah need not engage in scientific classifications. However, for those who are bothered by it, they should realize that they are being bothered by a particular translation of the word atalef. But, as I argued in this post, it seems rather likely that according to Chazal, the atalef was not a bat at all! Chazal needed to use atalef--not because it is a class that covers every egg-laying mammal, but only because it is a type of egg-laying mammal that ALSO shares characteristics unique to bats. And since it was well known in the ancient world (via Aristotle and Pliny)that bats themselves do not lay eggs, they had no reason to think it would be confusing in the slightest to use the term atalef. (Going on about how Chazal should have known about the future confusion about atalef, or anything else, just like they knew about the existence a bat-like egg-laying mammal, is unfortunately reducing the maturity of the discussion to a kindergarten level. Oh? Which characteristics would those be? 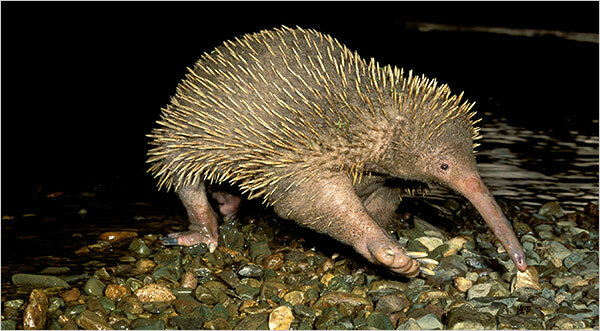 And does the echidna also have those characteristics? It was not "well known in the ancient world." It is not even well known today! That's why every subsequent student of the Talmud assumed it was talking about bats. Bottom line: If Chazal were talking about an animal that nobody knew the existence of, they should and would have said so, rather than using nothing more than the name of a known animal. Do Rishonim on the daf understand ataleif as bat, or is this all simply carrying over from the Torah's definitions? Which btw is what he gives as definition of tinshamet in Shemini. "Oh? Which characteristics would those be? And does the echidna also have those characteristics?" You mean you didn't carefully read the very chapter of the book you are trying to critique? This proves to me beyond a shadow of a doubt that you simply skim through the book to find the positions that were the easiest to misrepresent and hold up for ridicule. Shame on you, Rabbi Slifkin. "It was not "well known in the ancient world." It is not even well known today! That's why every subsequent student of the Talmud assumed it was talking about bats." Just because students of the talmud of subsequent generations were not familiar with Aristotle and Pliny diesn't mean educated people of Chazal's time were not as well. That's why they called the Medieval period "the Dark Ages". Bottom Line: If Chazal wanted to find a name for a bat-like creature without knowing its specific name, and had reason to assume people knew bats do not lay eggs (either through observation or the science of their times), atalef is the most reasonable one to give. I find meisellmans Aristotelian objection sufficiently convincing to posit a theory of my own - taus sofer. Atalef clearly is a bat; bats clearly don't lay eggs and never have been thought to do so - some text relating to another egg laying creature must have been transposed. I don't believe that chazal made reckless random unsourced comments without adequate due diligence. The idea that it is a class such that it can refers to the platypus is a very big chiddush. This is the sort of novelty that, if it were so, one would certainly expect a Rishon to go out of his way to explain. Because his purpose is to act as a commentator, to explain what would otherwise be non-obvious. If the Rishon does not do so, the default should be that the Rishon understands the word כפשוטו, just like the other named creatures in context. The default should certainly NOT be that the Rishon assumes the rather surprising peshat. I just posted on the Rashi in Shemini. I suggest that Rashi there does NOT actually identify the תִּנְשֶׁמֶת as the calve soriz (bat). What?! You mean you didn't carefully read the very chapter of the book you are trying to critique? This proves to me beyond a shadow of a doubt that you simply skim through the book to find the positions that were the easiest to misrepresent and hold up for ridicule. Shame on you, Rabbi Slifkin. Hardly. My approach to the book is not like that Maniac's approach to my writings. You may be referring to R. Meiselman's statement that "the platypus is intermediary in appearance between mammals and birds in a number of ways. It is furry like a mammal, yet possesses a bill and webbed feet resembling those of a duck." The problem is that this does not help matters at all. You claimed that Chazal needed to use atalef--not because it is a class that covers every egg-laying mammal, but only because it is a type of egg-laying mammal that ALSO shares characteristics unique to bats. But a bill and webbed feet are NOT characteristics possess by bats! Alternately, you may be referring to R. Meiselman's alternate claimed defining characteristic of the atalef - that it can navigate in the dark, like the bat and mole. But here, too, there are problems. It is obviously completely contrived in order to obtain the desired result. There is no mention in the Gemara of this aspect nor any reason to suspect that it possesses the slightest significance. R. Meiselman is claiming that the factor is common to both bat and mole, basing himself on a Rashi that defines atalef as a mole. But that Rashi is simply a bizarre aberration, hardly sufficient to force a new category of atalef. It would be especially strange for R. Meiselman, since he so freely states that the Rishonim did not have a clear mesorah regarding the zoology of the Talmud. Chazal themselves were not all that familiar with Greek science! They even castigated those who involved themselves with it. Chazal didn't know that the sun goes on the other side of the world at night! First of all, as noted, there was certainly not remotely adequate reason to assume that people knew bats do not lay eggs. People didn't even know that mice don't grow from dirt! "Everything that bears live young, nurses them, and everything that lays eggs, gathers food for its young, except for the atalef, with which there is a type (yesh b'mino) that, even though it lays eggs, nurses its young." Of course, even this wouldn't answer the myriad of other problems, such as, How did they know that there was such a kind of creature, if they couldn't even derive from the Torah that the sun goes on the side of the world at night. So, rather than waste further time, please first indicate if you agree with R. Meiselman and Kornreich that it is forbidden to believe that Chazal erred here. Is having shown that the atalef is not a duck-billed platypus a great enough deed to justify so much effort spent on it. Aim for higher,further reaching victories and let Rabbi Meiselman alone with his weird platypus theory. Rabbi Slifkin your books are excellent. Why not write one ,on how to bring up ones children to love all Jews ,to be broad minded and to try to accommodate people with different views and lifestyles other than one's own. The learning of humility would be a major part of such an upbringing. One candle flame can illuminate a large room. I'm looking forwards to seeing this book .I am sure it will be a best seller. Matthew, I couldn't care less if Rabbi Meiselman wants to believe that the atalef is the platypus. The problem is that his book seeks to delegitimize and brand as a heretic anyone who accepts that the Gemara is making a mistaken statement about bats. So his book must be thoroughly critiqued. "Alternately, you may be referring to R. Meiselman's alternate claimed defining characteristic of the atalef - that it can navigate in the dark, like the bat and mole. But here, too, there are problems. It is obviously completely contrived in order to obtain the desired result. There is no mention in the Gemara of this aspect nor any reason to suspect that it possesses the slightest significance." Yes, that was the defining characteristic Rav Meiselman was referring to--which excludes the echidna. There was no claim by Rav Meiselman that his suggestion was supported by the text of the gemara itself. But that doesn't mean it can be automatically ruled out and no independent analysis of the term used by that gemara is allowed to be brought to bear on that gemara. If every resolution of a difficult text requires local textual support, we would find a lot fewer solutions to problematic texts in rabbinic literature. "R. Meiselman is claiming that the factor is common to both bat and mole, basing himself on a Rashi that defines atalef as a mole. But that Rashi is simply a bizarre aberration, hardly sufficient to force a new category of atalef." Hardly an insurmountable obstacle. And Rav Meiselman is not "forcing". He is suggesting. If you don't like it, and you find too many difficulties with it, that's perfectly legitimate. But don't make the false claim that the platypus is just some random candidate pulled out of hat just because it's an egg-laying mammal. "First of all, as noted, there was certainly not remotely adequate reason to assume that people knew bats do not lay eggs. People didn't even know that mice don't grow from dirt!" Funny how you mention the dirt mouse. Maybe you should ask yourself how Rav Hirsch says people in Chazal's time came to think mice DID grow from dirt in the first place? The answer to that question--le'shitos'choh-- should provide an adequate reason to assume people in Chazal's time knew bats don't lay eggs. 1)Educated people in the Greco-Roman world would know from Aristotle and Pliny that bats do not lay eggs, and would assume Chazal in this context could only be referring to a bat-like creature. 2) The platypus has enough significant bat-like characteristics to warrant being placed in its class under the common name ataleif. Look, as Rav Meiselman wrote in this very chapter, acceptance or rejection of this solution does indeed come down to what level of credit one gives Chazal at the outset. You obviously give Chazal none, and you are predisposed to think it is more reasonable to assume they must have been suddenly ignorant of conventional wisdom every time it happened to be scientifically correct. Therefore your absolute rejection in light of the slightest difficulty is entirely predictable. I really don't expect you accept it and I'm not trying to get you to. You are free to reject every single argument made to support every single position made in Rav Meiselman's book based on your definition of "reasonableness". I'm here to say one thing. Just don't falsely present these positions as if no supporting arguments were made for it whatsoever. This is not a difficult or problematic text (yes, I know you disagree). What you're saying is that you have completely contrived something, with no independent basis, in order to produce the desired results. I'll be issuing a further critique in tomorrow's post. If you don't like it, and you find too many difficulties with it, that's perfectly legitimate. What? You believe that it's legitimate to say that the Gemara is making a mistaken statement about bats? That's exactly what I'm claiming. Maybe you should ask yourself how Rav Hirsch says people in Chazal's time came to think mice DID grow from dirt in the first place? The answer to that question--le'shitos'choh-- should provide an adequate reason to assume people in Chazal's time knew bats don't lay eggs. LOL. You're claiming that everyone's belief in spontaneous generation was only because they read Pliny? The platypus has enough significant bat-like characteristics to warrant being placed in its class under the common name ataleif. It has "enough"? How many does it have? acceptance or rejection of this solution does indeed come down to what level of credit one gives Chazal at the outset. I give Chazal credit for being very wise and intelligent Talmud scholars, who made the same false assumptions made by millions of other intelligent people. You, on the other hand, feel that if they were wrong about a zoological fact, then it is somehow insulting, even though you don't think that this is the case with the Rishonim. We can continue this discussion in tomorrow's post, where I will be critiquing Rabbi Meiselman's position in more detail. "What? You believe that it's legitimate to say that the Gemara is making a mistaken statement about bats?" That's not what I said. Rejecting someone's argument because of its difficulties means just that. It doesn't mean they have to accept an illegitimate approach that suffers from its own difficulties instead. "We can continue this discussion in tomorrow's post, where I will be critiquing Rabbi Meiselman's position in more detail." Hopefully, with more accuracy as well. Let me just clarify something. Why, according to R. Meiselman/ you, is the echidna not mentioned as another exception to the Gemara's principle? I fully agree with you Rabbi Slifkin. Rabbi Meiselman's book needs to be criticised for it's misinformation about Chazal's infallibility regarding their scientific knowledge. Publish your criticism,but is is worth having a blog on it? Your time Rabbi is too valuable to deal with all the idiotic and sometimes venomous comments. The main body of the audience you want to reach don't even read blogs. You see yourself how much twaddle your blogs attract. Unless you find it amusing and for you it is a recreational activity,I can't really see the value of it. I'm on your side,all the way. Yes,I'm one of the idiots that follow blogs. "Let me just clarify something. Why, according to R. Meiselman/ you, is the echidna not mentioned as another exception to the Gemara's principle?" Good question. I don't know what he would say. I just hope you find out what Rav Meiselman actually says about it instead of making all kinds of assumptions about what he could, or should, or has to say about it --and then hold those assumptions up for ridicule mockery and tout it as decisive refutation of his approach. Well, why don't you ask him, since you seem keen to show that his approach works? If I thought it would get a fair treatment by you, I would consider it. But you seem utterly incapable of giving one. Cop-out. Aren't YOU concerned that there seems to be a fatal flaw with his approach? The default should certainly NOT be that the Rishon assumes the rather surprising peshat. Who says it is a surprising p'shat? If you are assuming that it is a specific thing, then it is a surprise. But since the Gemara often uses the same term for different things (RMM cites some in this chapter), it isn't. It's just a way to be read. Akiva - I did not post your comment only because its excellent points are already in a post that I have prepared for tomorrow! Most people I think would day that it is a surprising pshat. A famous known creature by that name would be the default. That it is a class rather than a specific creature, and furthermore a creature which chazal and all the Rishonim and all the naturalists were not aware of its specific identity, while the famous named creature lacks that trait, how can you say that that is an equally unsurprising peshat, such that a commentator would not be committing malpractice for not bringing to the fore?! you wrote:lves were not all that familiar with Greek science! They even castigated those who involved themselves with it. Chazal didn't know that the sun goes on the other side of the world at night! "Chazal" is not a person. In several places, in the Gemara and Midrash, there is mention of various members of Chazal who believed that the sun goes behind the sky at night. In one of these places, Pesachim, where it mentions that the chachmei Yisrael (i.e. the general Jewish view) believed that the sun goes behind the sky, it mentions ONE person, R. Yehudah HaNasi, who likewise formerly believed that, but subsequently changed his mind. no, indeed no one frames the gemara that way. the gemara is framed that when the edited talmud was canonized the definitive position was rendered as being within the imprimatur of the promise Hashem made regarding the persistence of Oral Law. And the position of Rabbi Meiselman ( and the vast majority of all of the chchmei hamesorah) is that prior to that finalized canon the engagements of the chachamim were not branded as the imprimatur of the Torah she baal peh, and as we know, anyone can make a mistake, even the chachamim, yet once the stamp of the imprimatur is on something ( the canon that is finalized) the hashgocha of HKBH is that which all the sources R Meiselman brought and explained- persists ( among them pages 32, 33, 113, 120-132. The difference is delineated in the book. prior to canon, after canonized, definitive, not definitive, this is what you fail in your writings. Does Bava Basra 25a-b bear the "imprimatur" of God's seal of truth? Because there, Rabbi Eliezer and Rabbi Yehoshua speak about the sun going behind the sky. It makes no mention of their view being rejected. Of course, I disagree with yours and Rabbi Meiselman's claim that "the vast majority of all of the chchmei hamesorah" considered canonized claims in the Talmud to be indisputable. So, evidently, did Rav Hirsch, Rav Herzog, and so do many Gedolei Torah of our generation. R Slifkin and R Ohsie, R Slifkin wrote: "Presenting this [R Hirsch's] approach to the Gemara does not diminish the honor of Chazal." This is not clear at all to me. when i realized that rabbis based their rulings and interpretations on their science etc., it led me to assume that they also based their rulings on women etc. on the zeitgeist of their time (how can one draw the line, and where? for a random example, when Chazal read Vekasav Lah sefer krisus, in our day a Modern Orthodox Rabbi may have read the drasha to say a man MUST give a get, not that a Get MUST have been given willingly by the man, and one cannot force him). basically, by acccepting that the rabbis can be wrong on stuff and still be binding (and there is no higher daas torah crazy power that makes sure whatever they say is right) the majority of our torah is just a bunch of rabbis from long ago making their best guesses on things, including stuff that we now know to be wrong and/or immoral. One cant help but feel less honor for R Meir if he thinks that he was a bit spiteful towards women because of an inferiority complext with his wife. This is why the Chareidim hold fast to the alternative approach, of believing that what we see now is wrong and the ancients were always right. As my Rosh Yeshiva used to say, essentially the machlokes is where it is better to have the chiddush that addresses the issue. per R Hirsch, the science we see today is fine etc., but we must be mechadesh that irregardless of the Rabbis back then being totally wrong (and perhaps immoral based on the beleifs of their times), Divine Will still wants us to follow these rulings, even if they may be silly in today's eyes. The Chareidim just make a chiddush that everything they said is and will always be correct (and we are just wearing the wrong glasses today so we see things (e.g. science) incorrectly), so no chiddush needed with divine will or following the rabbinic rulings (which are per se all just and right, which we will realize one day). personally, both sides arent too satisfying. Do you disagree? (I'm not a Rabbi, please call me David. Also, my answer is obviously only for myself). 1) The "Rationalist approach" is an approach. If it doesn't suit you, then it doesn't. Most of the argument here is that it is a legitimate approach, not that it is the only one. 2) The alternative to infallibility is not agenda-driven decision making. So you seem to present a false choice. 3) The Torah was given over to human beings to make decisions. This was simply not based on assumption of infallibility. If there was, then the Gemara could be thrown out because there would be no argument. 4) R Hirsh did not say the rabbis were "totally wrong" or "immoral". See point #2. Fallible doesn't mean "totally wrong" or "immoral". So may answer to you is: All black and white models of the world will be unsatisfying, since the world is not black and white. David, thank you for responding, and i agree with your general points and perspective. I did not mean to imply that R Hirsch held that everything Rabbis said was wrong (or immoral). my point was on specific halachic decisions where science is involved and the consensus (agreed to by R Slifkin) is that we still follow the halacha even though we now see that the basis is scientifically incorrect, it is a wild leap of faith to follow such laws. My addition of immoral is based on my assumption that while not every halachic decision is "agenda-driven", people are clearly affected by their times, and in my opinion that comes out most clearly with respect to halachos about other nations, as well as women's issues. When i read the Chinuch expplaining that girls are dirtier and lead to more disease as a basis for niddah/tumma'as leidah etc., i cant help but see it as a now-immoral understanding, and assume that many women's rules were also made based on such understanding, and perhaps against divine will). My problem is then what should i follow to be a good person and follow in God's ways, certain (of course not all) laws that are based on incorrect or immoral presumptions JUST BECAUSE stare decisis is easy, or try to reform and change all those laws now based on our understanding (i.e. become a Reformist). Do you not feel this struggle? Of course the world is not black and white, but how do you live with doing what is probably wrong scientifically) or immoral socially) from our perspective when really perhaps Divine Will is to do something else? Of course the chareidim are lucky, as their black/white approach protects them from ever having this issue. I recently saw a midrash that I think resolves this conflict. The Tanhuma on Leviticus 1:7 says that the reason we bring sacrifices from animals and birds, but not from fish is because they are flesh and blood like us and their young are born from them, like us, whereas fish lay eggs from which babies are born. This is at first glance absurd. Obviously birds lay eggs, and obviously the Sages knew this, as there is an explicit verse about them in Deuteronomy 22:6. However, I think the resolution i quite simple when you consider that in general, birds fertilize eggs in the mother, by way of a cloacal kiss, meaning that the babies come out of the mother ready to be born. Female fish on the other hand generally lay their eggs, and then have them fertilized by the male, outside of the mother! In this way the midrash makes a lot of sense. In any event, we see that the Sages considered birds to have a commonality with animals, birthing their young from inside them. I do not think it is a terrible stretch to say that the Sages made another generalization, when it came to flying creatures, (generally being egg-layers), by including the bat. Greetings, Rabbi Dr. Natan Slifkin. I am not Jewish, nor do I claim to be familiar with the Hebrew Language in any manner. Nevertheless, the Torah is an important part of the foundation of my faith, and I believe that there is a simple and logical answer to this apparent enigma. The link to the image below is important. The image above demonstrates that the layout of the flyers in Leviticus 11 and Deuteronomy 14 is actually quite logical. First, notice that the bat is not placed arbitrarily among the list of the Chordate flyers, but it is always placed at the end (Lev 11:19B, Deu 14:18B). Also, there are two Phylum of flyers presented in those chapters. According to the Scientific Classification System, the Phylum must precede the class. CLV "These you shall regard as abominable among the flyers..."
But the ostrich, for example, is "winged" but can not "fly". The definition from the Strong's Concordance justifies rendering the word "winged". FACT: the FIRST group of flyers listed in Lev 11:13-19 are members of the CLASS Aves: birds. FACT: the LAST flyer listed in Lev 11:13-19 is a member of the CLASS Mamalia: the bat. FACT: birds are NOT members of the CLASS Mamalia. CONCLUSION: the bat is NOT a bird. CONCLUSION: the bat is NOT the eagle. 11:13. CONCLUSION: the bat is NOT the ossifrage. 11:13. 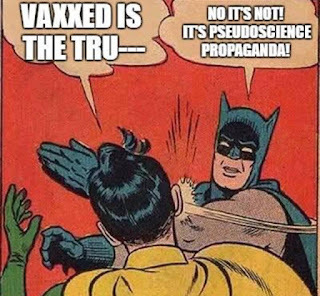 CONCLUSION: the bat is NOT the ospray. 11:13. CONCLUSION: the bat is NOT the vulture. 11:14. CONCLUSION: the bat is NOT the kite. 11:14. CONCLUSION: the bat is NOT every raven. 11:15. CONCLUSION: the bat is NOT the owl. 11:16. CONCLUSION: the bat is NOT the night hawk. 11:16. CONCLUSION: the bat is NOT the cuckow. 11:16. CONCLUSION: the bat is NOT the hawk. 11:16. CONCLUSION: the bat is NOT the little owl. 11:17. CONCLUSION: the bat is NOT the cormorant. 11:17. CONCLUSION: the bat is NOT the great owl. 11:17. CONCLUSION: the bat is NOT the swan. 11:18. CONCLUSION: the bat is NOT the pelican. 11:18. CONCLUSION: the bat is NOT the stork. 11:19. CONCLUSION: the bat is NOT the heron. 11:19. CONCLUSION: the bat is NOT the lapwing. 11:19. Thus, the apparent enigma becomes a point of accuracy.